Fully integrated IVR with inContact CD. If you’ve had the misfortune of using an ACD and IVR that don’t play well together, you know how important tight integration can be. Our ACD and IVR were built by us and use the same platform. Don’t settle for repeatedly requesting an account number, phone number, or other customer information, because your IVR can’t share collected data with the ACD. With inContact, our ACD and IVR are the same platform. They play very nicely together which means less frustration for you.Automated Speech Recognition (ASR) and Text-to-Speech (TTS)Our IVRF supports Automated Speech Recognition and Text-to-Speech in multiple languages.All of your call center locations can use the same IVRNo matter where your teams are located, all of your customers can use the same interface with our IVR. That means interactions are executed in a consistent manner which improves the customer experience.Automatic Call Back (included at no extra charge)If a customer can’t wait in queue any longer, our automatic call back asks for their phone number, and our ACD automatically calls them back.  We keep their place in line until your next agent is available.You can also offer a scheduled callback within the IVR. At the customer’s requested time, we will automatically route an outbound call to them via a qualified agent. Unlike other vendors, we don’t charge extra for this – you get it as part of our ACD software.Our IVR integrates with popular CRMsEasily connect customer data with your call center by using our out-of-the-box CRM integrations. Pull in customer data from popular CRMs like Salesforce, Microsoft Dynamics CRM, Oracle RightNow or any custom built solution.Easy to make changesIt’s a snap to make routine updates to your IVR, like operating hours and holidays. Using an easy, menu-driven interface, make immediate changes to your operating hours, and your system will notify callers appropriately.Complicated updates don’t require Professional Services or IT– our powerful design tool, inContact Studio, is designed so users can make their own updates.